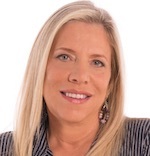 Marian Salzman, who headed Havas PR North America since 2009, is moving to Switzerland for the senior VP-communications post at Philip Morris International. A non-smoker, Salzman was attracted to PMI because of its commitment to shift factories from producing cigarettes to smoke-free alternatives. The Lausanne-based company in March announced that an affiliated facility in Greece made the transition. PMI CEO Andre Calantzopoulos said opening of the revamped Greek plant marked a historic day for PMI in his quest "to answer global adult smoker demand for better alternatives to cigarettes." There are 1.1B smokers. Salzman, who is noted for her annual trend reports, was chief marketing officer at Porter Novelli, CMO JWT Worldwide and chief strategy officer at Euro RSCG Worldwide. She also launched American Dialogue online focus groups during the early 1990s and then sold it to Yankelovich.